Source: Published in the UK by inIVA in collaboration with the Douglas F. Cooley Memorial Art Gallery, Reed College, Portland, Oregon. 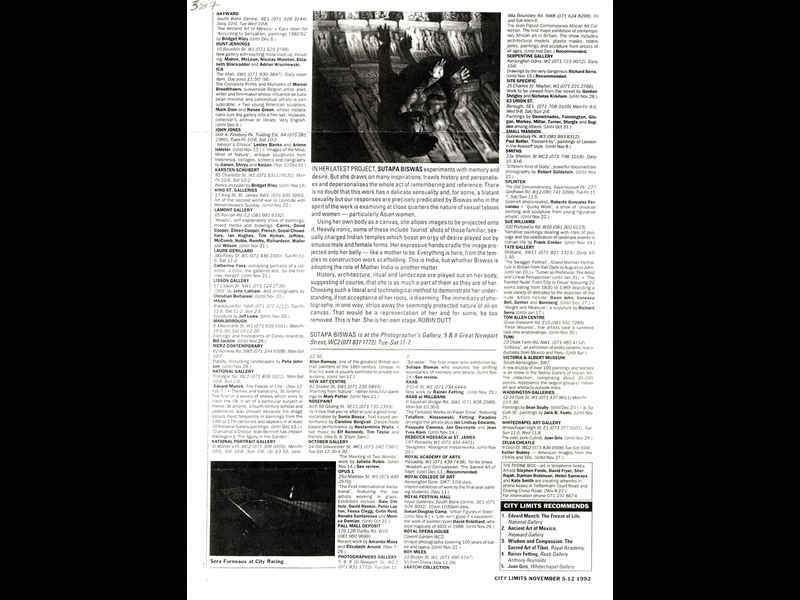 © 2004 inIVA. Texts © 2004 the authors/Images © 2004 Sutapa Biswas, unless otherwise stated. Edited by Sarah Campbell - Designed by Untitled/Published on the occasion of Sutapa Biswas: Birdsong, an inIVA touring exhibition produced in collaboration with Film and Video Umbrella. Single sheet A4 photocopy/Listings magazine - City Limits/November 5 -12 1992, no page ref/Preview and image by Robin Dutt for an exhibition. 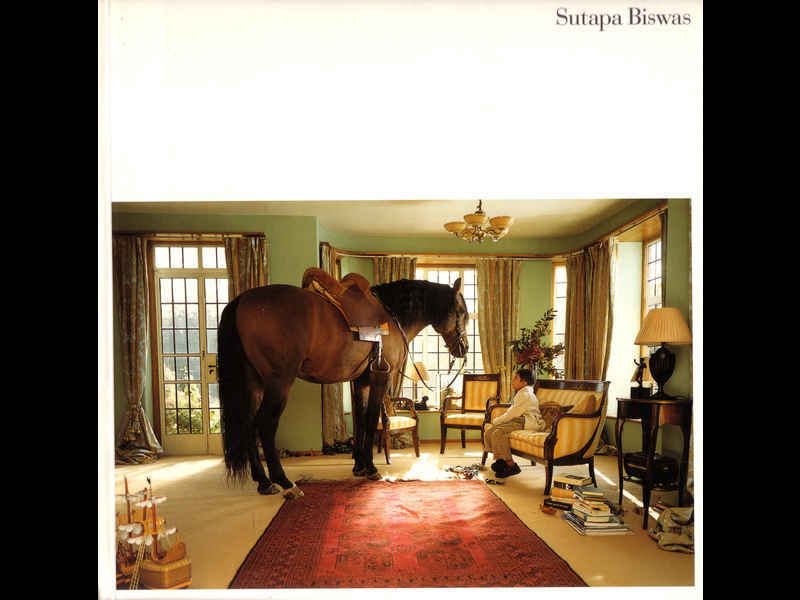 The Transforming the Crown catalogue has Sutapa Biswas’ birthplace as being Santinekethan, India. Sutapa Biswas‘ work was included in the book Shades of Black: Assembling Black Arts in 1980s Britain. She was on “The Thematics and Aesthetic Shifts in Practice since the 1980s” panel at the Shades of Black conference, 20 April 2001, Duke University. She was also on the conference’s Summation panel.